Wine Glass Painting at Mellow! Once again Art Rageous is teaming up with Mellow Mushroom of Port Orange for a Wine Glass Painting Event. We supply all materials, stencils, ideas, paint, even aprons. So sign up right away to reserve your spot for this fun event. Grab some friends or come by yourself and make a few new friends. 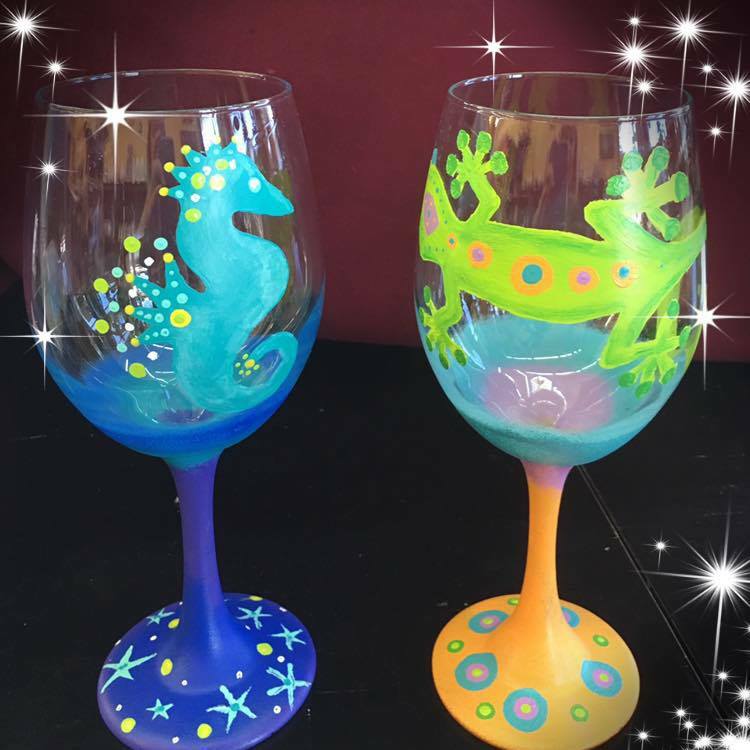 Price includes 2 wine glasses to paint at Mellow Mushroom in Port Orange.You may purchase beverages and food there if you choose.